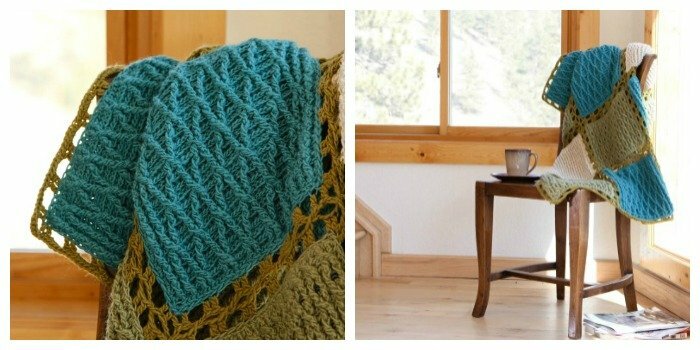 Craftsy offers Amazing Crochet Textures as a FREE online Crochet Course. 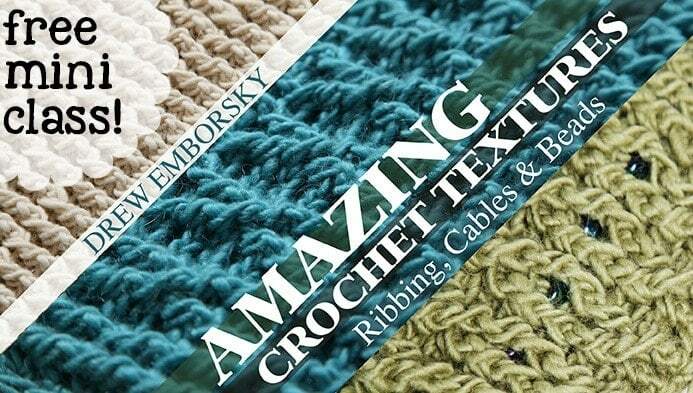 This class is taught by Drew Emborsky (The Crochet Dude!). I really enjoyed this class – Drew is a very likeable Instructor and the Class Materials (and patterns) are easy to follow and understand. 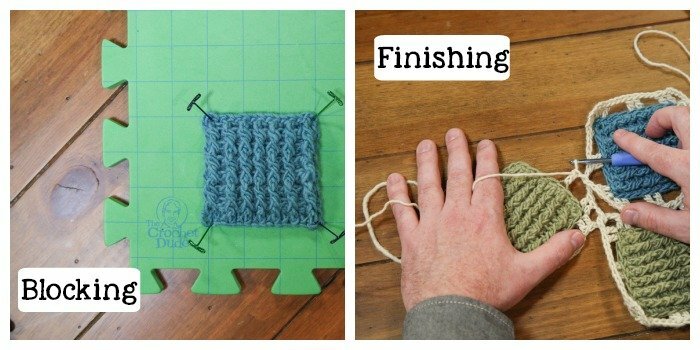 Taking a class at Craftsy is easy! When you watch the video, you will see this toolbar on the top left-hand side of the video screen. Lessons – and you will see a breakdown of the lessons included in the post and you can scroll through and pick the one you want to watch, or re-watch, in any order. If you need to pause the video, just click right on the video screen once – it will pause; click again and it will continue where you left off! Craftsy Classes are yours to keep forever – watch anytime, anywhere and as many times as you like! 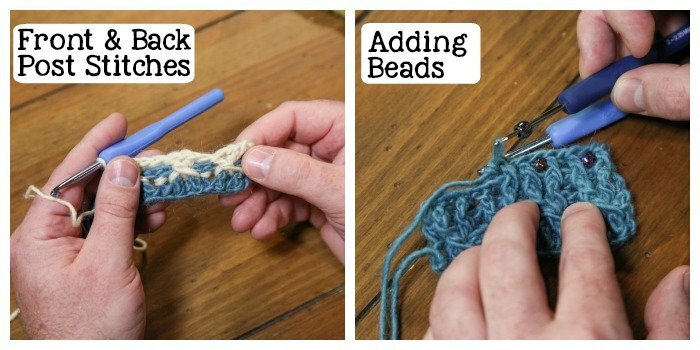 I wanted to try some of the techniques I learned in the class – specifically making cables and adding beads ‘as- you- go”. I followed Drew’s pattern for Square C (page 2 of your Class Materials) to Row 9 and finished off and wove in my loose ends. I single crocheted the side-seam closed to form a can cosy. 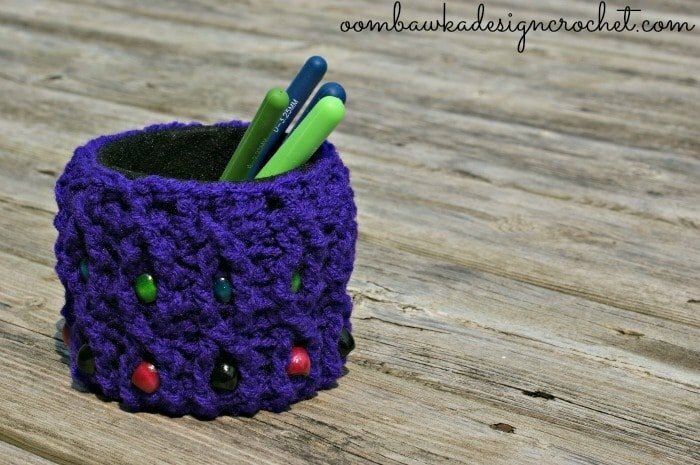 I wanted something I could leave on the table beside me when I am crocheting to hold my hooks in – instead of leaving them loose on the table. I think this works perfectly and I was able to apply some new skills I learned from watching the class! Have you tried a Craftsy Class yet? 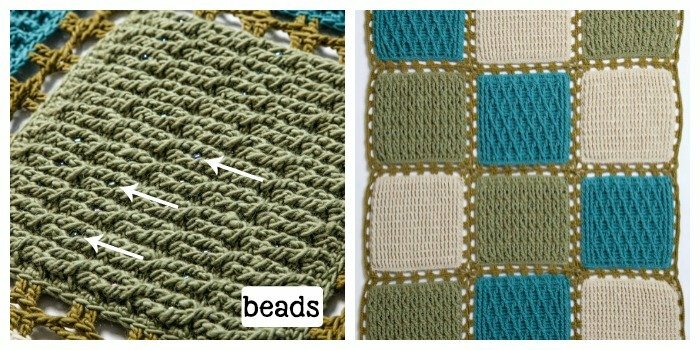 Enrol in Amazing Crochet Textures today for FREE! This sponsored post and free mini class are brought to you by Craftsy! I am so happy you are enjoying the class! I think Drew is a fabulous teacher too 🙂 Happy Birthday in advance! So far I’m enjoying the class, looking forward to next segment-Drew you are an excellent teacher. Thanks Carol! I’m happy you saw the post 🙂 The class was fantastic and I really loved the way Drew presented the information – he is a great Instructor! Hey Rhondda! 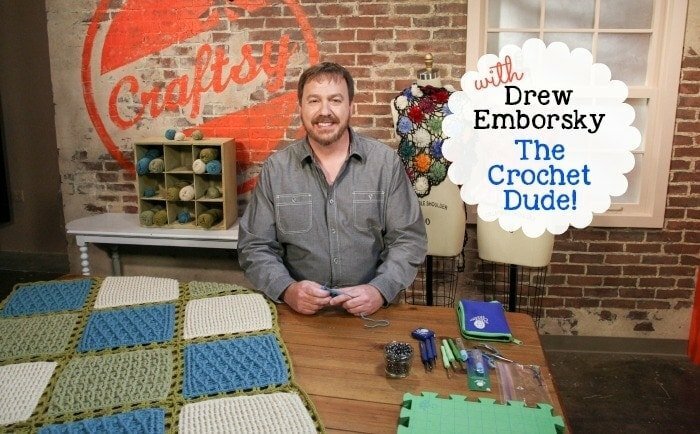 thank you for the heads up on the Free Craftsy Class with Drew…awesome!